Santa will enjoy filling each and every Embroidered Red Sequin Santa Stocking with their favorite treats and gifts this holiday season! 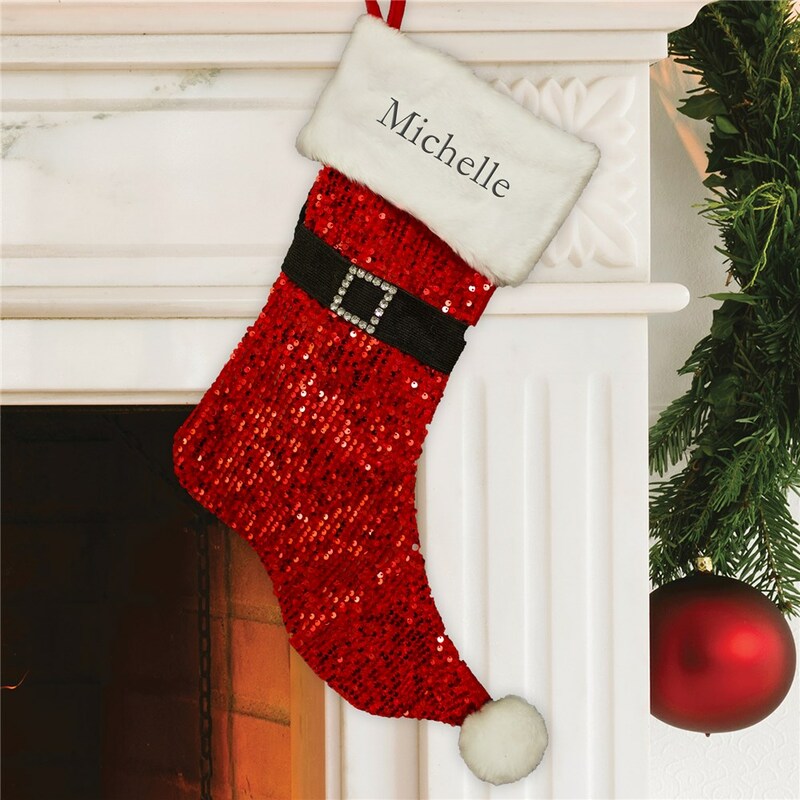 We will custom embroider your Personalized Christmas Stockings with any name in black threading. Shop more stocking styles for the whole family!